Description: Fast, Accurate & Reliable. Uses same technology as Police breathalyzers. LifeGuard: The One to Trust. 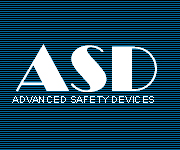 Organization: Advanced Safety Devices, LLC. Description: DOT approved Professional Breathalyzer. Professional grade. Easy to use. Description: Disposable Breath Alcohol Tester - four models to cover a full range of testing requirements. Description: With field replaceable and pre-calibrated sensor module. Description: Compact and Accurate Breathalyzer. No Mouthpieces Required. Description: Affordable personal breathalyzer that features an active pressure sensor taking deep-lung air sampling. 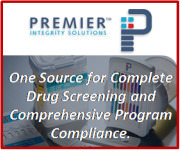 Description: Innovative, patent pending technology that allows users to calibrate their breathalyzer without the need for shipping their device for calibration. Description: The most lightweight and easy-to use operation of any handheld fuel-cell alcohol tester.